TotalVision EyeCare Center provides Laser Vision Correction! 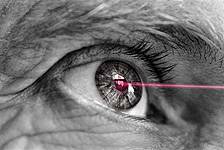 One of the most exciting technological advances in the last decade has been the improvement of laser vision correction. We will be happy to discuss all of the various options with you and make recommendations as indicated. In most circumstances, we are able to provide the majority of the post-operative care, conveniently ensuring the patient the best results possible. Feel free to ask any questions that you may have about this exciting new approach to vision correction by calling us at Total Vision EyeCareCenter.